Each month I have the great pleasure of crating super thank you gifts for my customers. I always try to give them a gift that can be use more than once. I decided for May I would make them a bookmark. I wanted to to add something to the front and back of the bookmark. So I decided to feature the Graceful Glass vellum designer series paper, Beautiful You stamp set and the new stamp set Detailed with Love. 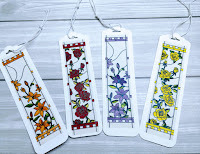 Bookmark Measurements: 2" x 8"
2. Color and cut desired image from Graceful Glass vellum DSP. 5. 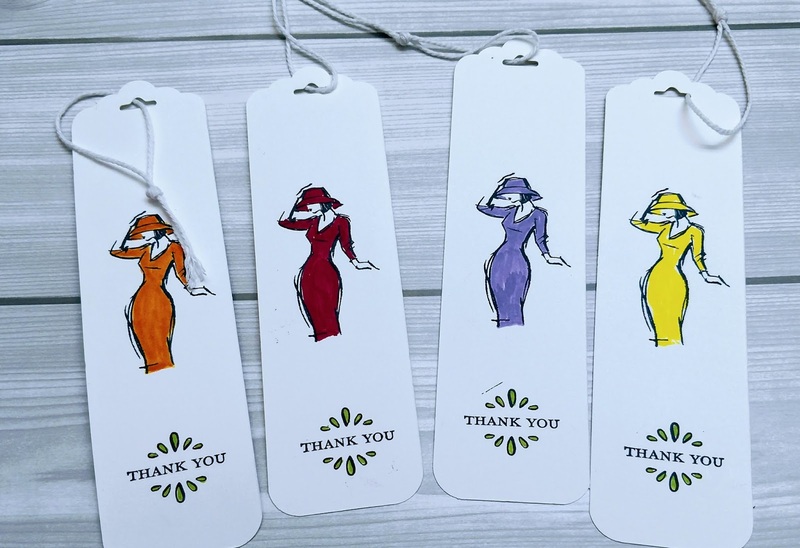 Use the “thank you” sentiment from the “Detailed with Love” stamp set. Stamp the sentiment below the stamped image on the whisper white card stock. 6. Using the snail adhesive to attach the vellum dsp on the front side of the bookmark. 7. Cut 6” whisper white baker’s twine and tie on bookmark. 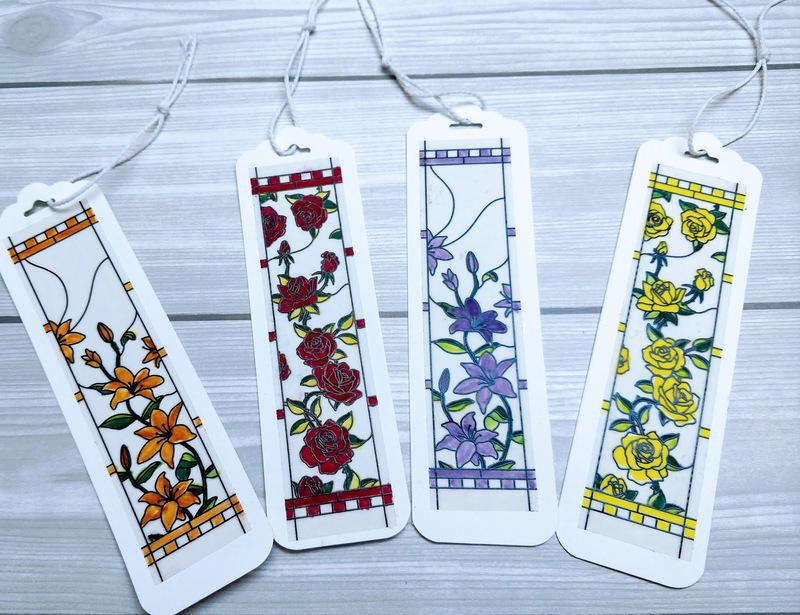 Woohoo, your super cute bookmark is complete! Are you interested in a Stampin Up Catalog, well… it’s finally here! There are so many amazing products, stamps, accessories, and the catalog is also great inspiration for projects. If you are new to stamping or don’t already have a designated demonstrator… I would love the opportunity to earn your business. Contact me and I’ll send you a catalog right away! Thank you for stopping by to read my blog.